All this killing is making me hungry! Forgot to post my review of The Hunger Games. I read and enjoyed all the books so I've been looking forward to the movie ever since it was announced. I'm still amazed that something that is actually . . . good has managed to inspire a frenzy equal to the dreaded Twilight. Aside from the advantage of much better source material, the movie also benefits from good scripting, good direction and - gasp - even good acting! It open with an interview between Caeser Flickerman (the delightful Stanley Tucci) and head games maker Seneca Crane (Wes Bently, who really should work more) that nicely sets the stage. 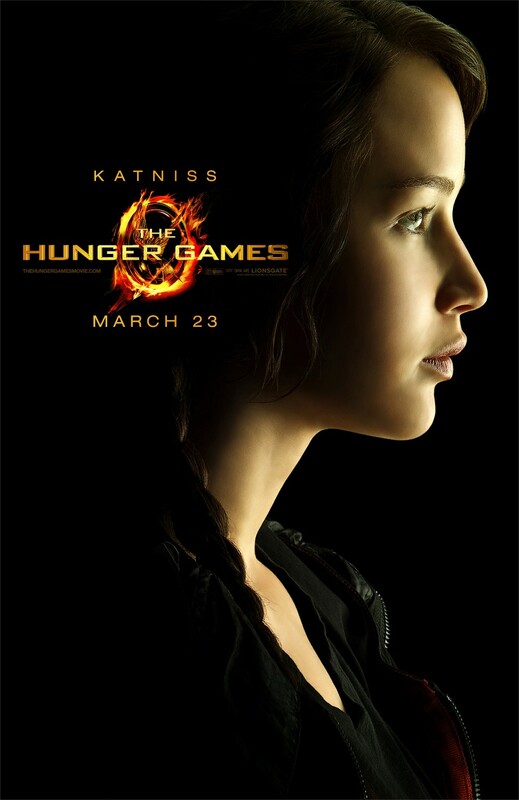 Then we meet Katniss (the divine Jennifer Lawrence) in some low key scenes that set up her character and the grim environment of District 12 that she lives in. The film actually takes it's time to get to the games themselves, giving us opportunity to actually care about the characters and understand what is at stake. When the games do arrive they are just brutal enough to maintain a PG-13 rating without sugarcoating it. All the cast excel, with Josh Hutcherson being surprisingly good in the difficult role of lovestruck contestant Peeta and Woody Harrelson perfect as the drunken mentor Haymitch. Lenny Kravitz as fashion designer Cinna and Donald Sutherland as the Clumsy Waiter . . . er evil President Snow are also memorable. Hell, the whole cast gets to shine. The emotional aspect of the book, particularly the fate of Rue (the excellent Amandla Stenberg) was also conveyed well. There are minor criticisms (a few plot elements get glossed over and I could have done without the constant shaky cam in the fight scenes) but overall this is one of the best starts to a franchise in recent memory - thought-provoking, superbly entertaining and deserving of all its success. If it's the final nail in the coffin of Twilight fandom, that's just a bonus. 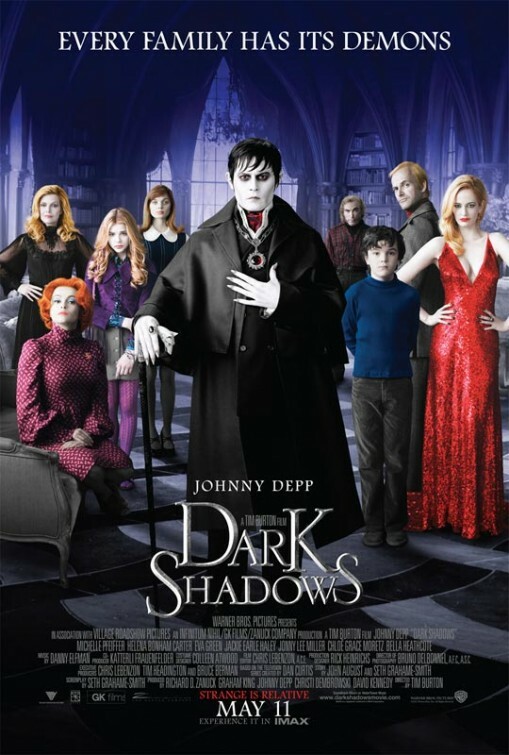 The release of the Dark Shadows trailer (finally!) reminded me that I never commented on the Frankenweenie trailer that also came out recently. The last time we had a double-helping of Burton in the same year was 2005, when Charlie and the Chocolate Factory and Corpse Bride both came out. Hopefully this year's offerings will turn out better. Frankenweenie looks like classic Burton, with the beautiful black and white stop motion photography a joy to behold. It's ironic that a film Disney considered too scary to release almost 30 years ago is getting a big budget remake with the Disney name plastered all over it. How times change. I'm still not convinced the original film needs a feature-length remake, but it should be fun. The old school Burton cast (including Winona Ryder!) is what has me most excited about this. Hopefully Burton has actually come up with some decent ideas to expand the plot and it's not as dramatically inert as his other recent kids movies. Dark Shadows, on the other hand, looks like it could be a surreal triumph, like Mars Attacks!, or a star-studded failure, like, uh, Mars Attacks! It's as bright as Frankenweenie is dark, and the Addams Family meets Beetlejuice meets Sleepy Hollow vibe looks to provide lots of laughs, at least. Fans of the TV show are already planning to lynch Burton over it being remade as a comedy, but it's hard to see how anyone can take the original show seriously, although it remains a fun gothic soap opera. Turning it into a semi-spoof is probably the best route to take for audiences unfamiliar with the source material. I have no idea if it'll pay off, but anything to burst Twilight's soulful vampire bubble a little is most welcome. 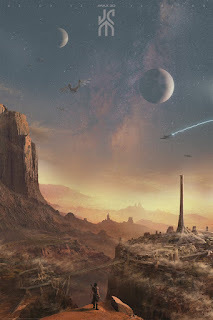 I've always been curious about the John Carter series, even though I've never read the books, simply because it influenced so many classic SF filmmakers. So I was looking forward to the film despite the atrocious job Disney did of marketing it. The end result is . . . not bad at all. It's a fun adventure with a talented cast, great visuals and a nice sense of humour (I especially like the running gag of the aliens calling JC "Virginia" because of his home state). Andrew Stanton does a decent job in his first live action directorial effort following several triumphs for Pixar and the ending nicely sets up the (hoped for but unlikely) sequel. So why has the film being so widely rejected by critics and audiences? Part of the problem is that, after providing the inspiration for properties such as Star Wars and Avatar, the movie looks overly familiar, despite the source material being a hundred years old. There's nothing here we haven't seen done before, and better, and the plethora of alien names in the dialogue is likely to make non-sci-fi fans' eyes glaze over. Aside from Willem Dafoe as the voice of Tars Tarkas, JC's pet, Woola, and the feisty heroine played by Lynn Collins none of the characters really make an impression. I hate to put a studio down for taking a risky gamble, but putting $250 million into a movie with no stars and an unproven director is just asking for trouble. And unfortunately John Carter isn't quite good enough to make up for its box office failure with cult status years from now. But you could do a lot worse than spend two hours watching this enjoyable nonsense.